Freelancing is a growing industry and skilled freelancers are sought after by employers. Running your own business requires you to take initiative and be self-aware, open to new opportunities, flexible and resilient. A good freelancer needs to know their worth, understand how to use key tools such as creating an invoice and quotation, and master communication skills including negotiating and networking. 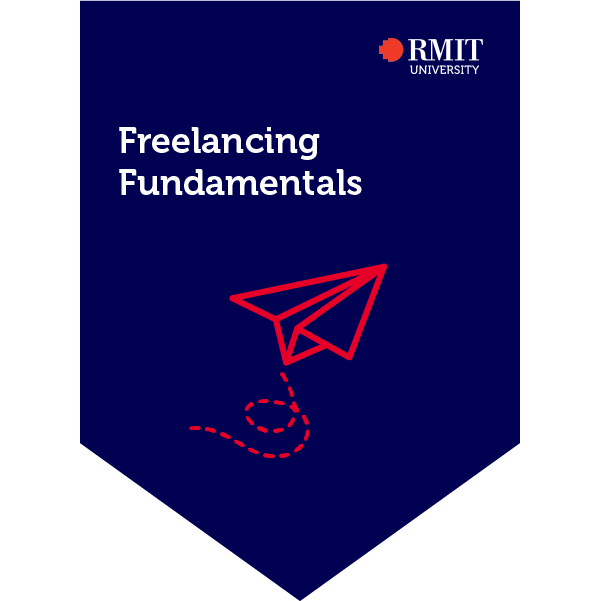 Gain an edge in a competitive market by understanding some key aspects of freelancing. The earner of this badge participated in an online course co-created by RMIT Activator and Papercloud. The final assessment sees learners create and email an invoice to a client. This Credential is endorsed by Paper Cloud.